The Center for American Progress released a new report this week, Middle-Out for Millennials, on how America’s economy is failing young workers. The report, by Sarah Ayres, provides a sobering assessment of the obstacles facing the most recent generations to join the workforce. Ayres writes, “The generation of young people born between roughly 1980 and 2000-an estimated 70 million individuals-is facing double-digit unemployment rates, low wages, mounting college costs, and crippling student-loan debt. Creating jobs for young people. 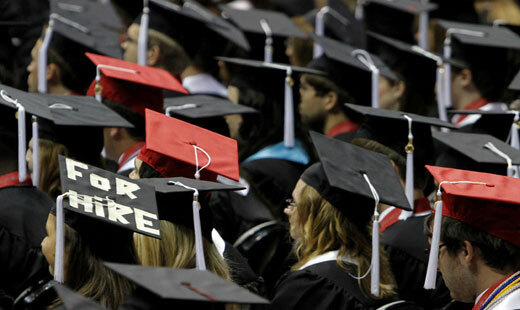 Easing the burden of student-debt repayment. Expanding access to postsecondary education and training. Ayres’ report and her recommendations deserve serious thought and discussion for if our nation is to remain an economic force, it must have a vibrant middle class and a thriving American Dream.